Finally. The Donald’s inventory of condominium residences at Trump Tower Chicago is sold out. The sales office closed. And now, resales sell at record prices. For John Robert Wiltgen Design, this dramatic addition to the Chicago skyline represents a living portfolio of our original designs. On completion of a current residence, we have created extraordinary homes for 23 distinctive clients. 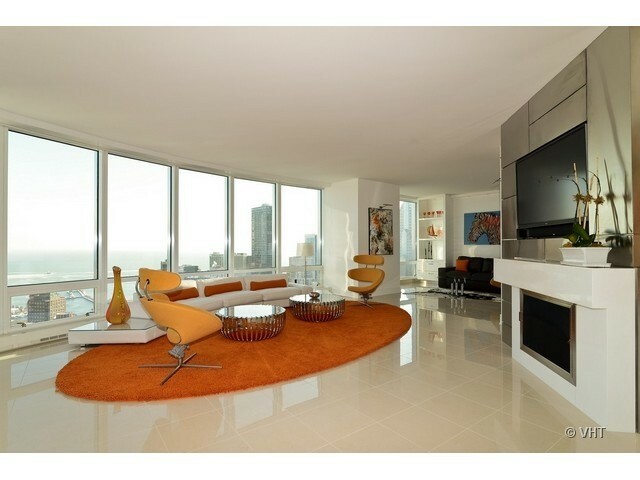 An 86th floor penthouse with 12 foot ceilings featured on the cover of Luxe Magazine and NBC-TV’s “Open House’’ was among one of our first homes in the Tower. Our client bought more than 4,000 square feet raw, requiring us to create the architectural drawings, act as the general contractor and purchase all of the furnishings and artwork. Afterwards, we designed two other homes for this globe-trotting family. A vibrant view heightens the sophistication level of the 2- bedroom home we designed for a young man – he was 23 at the time. As a result of this project, his family commissioned us to create their Northshore home and a loft in New York City’s Tribeca neighborhood. We designed a fireplace we believe may be our best ever when our client purchased and commissioned us to combine adjacent condos after the larger units (on high floors) were sold. 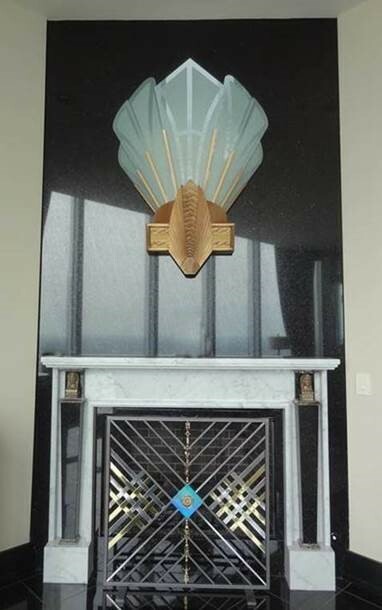 Its Art Deco sconce, whether on or off, is a work of art floating on a black granite background. After a long and extensive search to find the perfect mantel faces, we recycled a pair of antique bookends – they had to be the exact scale for the piece. An extensive master bedroom suite has an adjacent sitting room, his and her baths/dressing rooms and a spa with an incredible view. 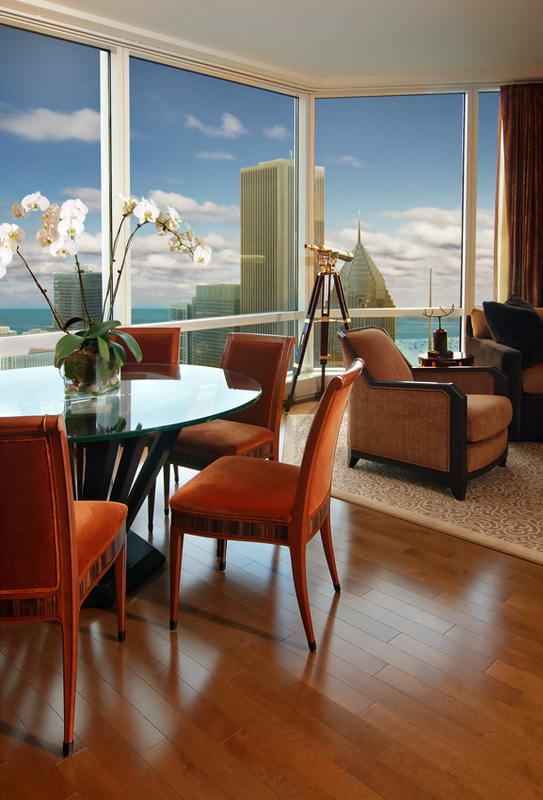 The Trump lifestyle features gracious master suites in most of the varied condominium layouts. 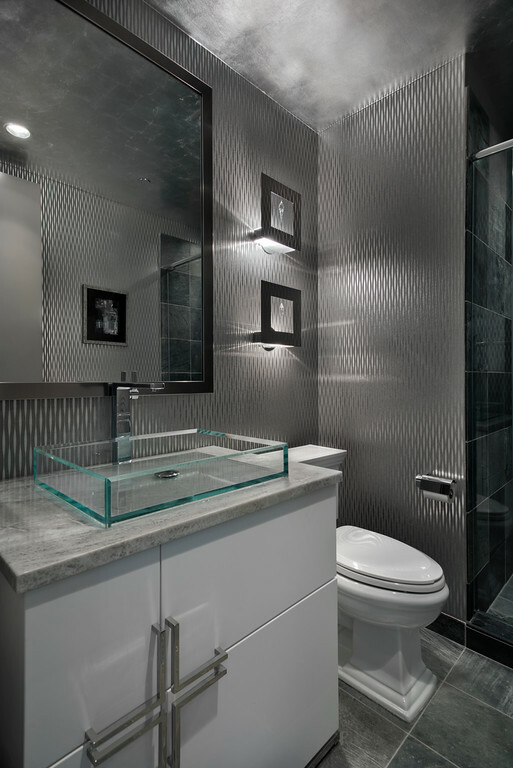 We created a shimmering silver atmosphere in a powder room of a 4,017 square foot residence we designed by combining two units. For this home too, like many, we prepared the architectural drawings, supervised the subcontractors, and purchased all furniture and furnishings. We changed everything in the powder room except the developer’s standard slate floor. 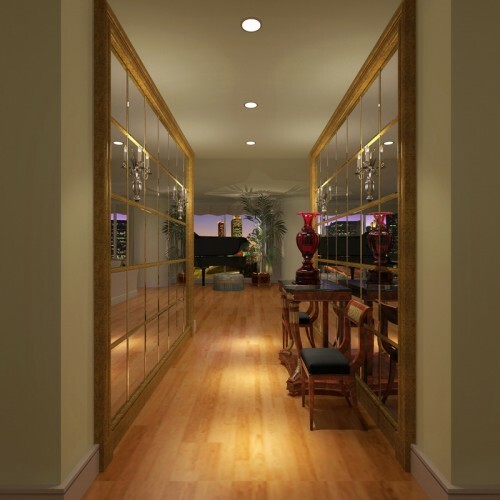 Our rendering illustrates the glamorous entry of a Trump home we will soon be finishing. 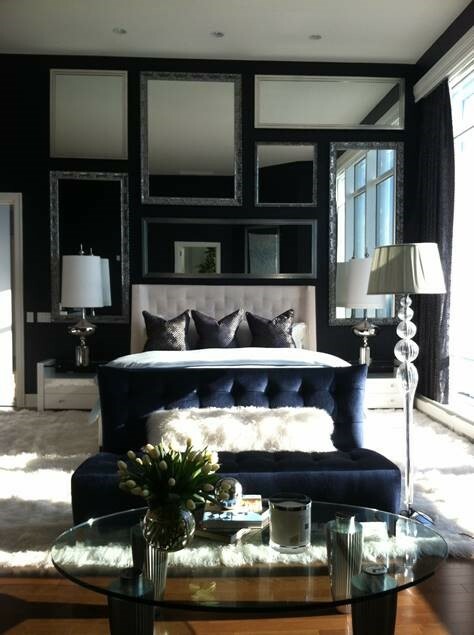 A 3,948 square foot 2- bedroom home was our second project for this client. The first was at the Elysian prior to seeing our work at Trump. They purchased a resale and we gutted it, leaving the original kitchen and master bathroom as-is. Shortly thereafter they sold it for more money per square foot than any other resale in the building. Of that we are justifiably proud. Even more interesting, the buyers of this home have now commissioned us to create a bespoke interior for them. 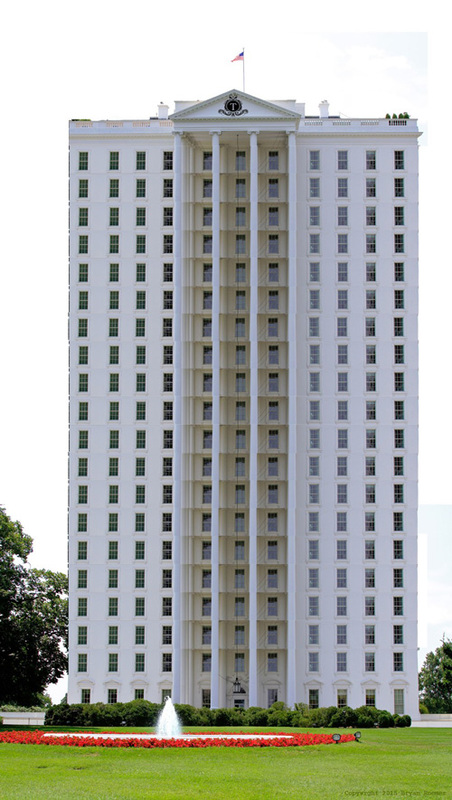 I’ve said it before…we are very grateful to “the Donald” for deciding to construct his Tower three blocks from our office. It has been so easy for us to run back and forth to meet delivery trucks, workmen, and our clients. John Robert Wiltgen Design, Inc.
©2015 John Robert Wiltgen Design, Inc. All rights reserved. Great overview of your work here John! and I love the ending – very cute! This is AMAZING!!! GOOD JOB ON THIS!!! Loved it John thank you for sending it to me and your talent is amazing. Love the bedroom and the white fluffy carpet. Thank you for sending these photos of your work. Looking forward to your redo of the White House! John, I LOVE IT!!!!!!! And for your sake, if not the country’s, I hope The Donald does fulfill his current dream. Meanwhile, I’m so very proud to see how you have realized the dreams you had when we first met and you had that “closet” office near the Mart. And you’ve done it all with such panache, such class, such beauty. Congratulations! I send the very best to you always! Thank you for sharing. What a wonderful and positive experience for you and your clients. Thank you for sharing the fabulous Trump Tower jobs – (one familiar)! It shows your versatility, and open mind. I can’t imagine how proud you must be of all these incredible projects! How amazing! Good for you as always! !